In September of 2005, both Buffy the Vampire Slayer and Angel had finished their runs while Smallville was about to kick off their fifth season. As for me, I had a very busy 5 year-old (hey kiddo; daddy loves you) and another on the way, and my wife and I were looking for a bigger house. Basic premise of the show is simple: John Winchester (played by George Clooney-lite, Jeffrey Dean Morgan) witnesses his wife Mary (Samantha Smith) murdered by a demon. Years later, his sons Sam (Jared Padalecki) and Dean (Jensen Ackles) reunite to track down dear old dad and kill whatever goes bump in the night along the way. This set up allows for the “freak of the week” template that Smallville had used for most of their seasons, and it works well within the realm of the spooky. Another aspect that clicked in that first season were the genuine scares, of which there are plenty of. The amount of times I jumped could almost be categorized as a work out. “Oh, I’ll get to it eventually…” is not only the phrase I use most, but it could easily be the title of my autobiography. If you’re a geek like myself, you know just how hard it is to find time to check out all that amazing pop culture you’ve been missing out on. Not usually one to take stock in New Year resolutions, I decided to buckle down and give it a whirl; but with a geektastic spin. . .
You won’t find “lose weight,” “quit coffee” or any other proclamation on my list that will fade into obscurity within a matter of days; no ma’am. Instead what you’ll find are numerous forms of media/properties that I’ve yet to experience, ranging from books and comics to television and web series; and everything in between. Some of it has yet to be released while others are decades old, but that’s alright! Better late than never, and all that. I feel the need to fill certain gaps in my ever-expanding geekness; like finally reading Douglas Adams’ Hitchhiker’s Guide to the Galaxy (and see how the movie stacked up). I want to read Alan Moore’s comic work that doesn’t spotlight any Watchmen or the Joker’s photography hobby, so Saga of the Swamp Thing, The League of Extraordinary Gentlemen and V For Vendetta are all on my radar. I also want to visit another of Joss Whedon’s universes, and Firefly, Serenity and all the comic tie-ins are eagerly awaiting my arrival. The CW Announces Full Fall 2012 Schedule – With Clips! The CW has aded its shows to the mix today and has announced its full Fall schedule of programming. For the new season, the network is adding 5 new drama series which, in addition to its returning shows, will be “strategically” rolled out starting in early October. The new shows, Arrow, Beauty And The Beast and Emily Owens, MD, will debut in the fall. The remaining dramas, Cult and The Carrie Diaries, will arrive midseason. In addition to its new shows, the network is also making some changes to its existing ones. Supernatural is moving to Wednesday and will air following the new drama Arrow. America’s Next Top Model is moving to Friday to give Nikita a new lead-in. The rest of the changes can be found in the new schedule. Click through for the full CW schedule, some videos and descriptions of the new series. 2012 Horror Movie Preview Part 3 – The Bitter, Gory End…IN 3D!!! If you’ve been keeping with our previous posts, you can see that this year is going to be quite the melting pot of horror films. 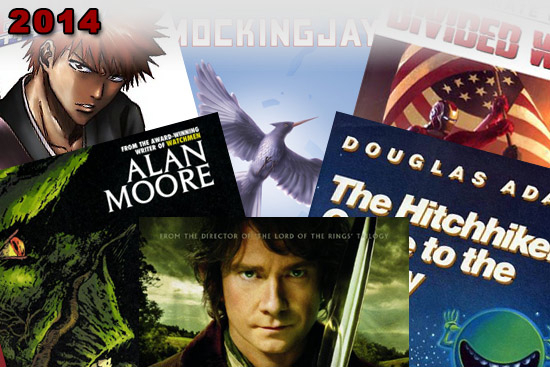 In today’s installment, we sum it all up with the final films of 2012. Check out Part 1 and Part 2 if you haven’t yet. Now onto the rest. (Distributed by Lionsgate Films) This film is intended as somewhat of an alternate sequel to the original 1974 film directed by Tobe Hooper and advances thirty five years into the story. (Distributed by Paramount Pictures) The film is a continuation of the series. If you’ve seen one then you’ve pretty much seen them all. It’s hardly controversial to say that most nerds are not fashionistas. There probably isn’t a lot of demographic crossover between The Twilight Zone and Project Runway. Those nerds who are sew-inclined tend to spend their time on cosplay; their catwalk is the convention floor. The majority of us simply have no idea what fashion is about or how it fits into the Campbellian Monomyth. It’s not a coincidence that most classic sci-fi depicts the future populace in shiny matching coveralls. We just don’t pay that much attention to clothing. The only thing most nerds wish was in their wardrobes was the magical land of Narnia. But we have to wear something. Hence the Nerdy Tee. A simple, classic article of clothing that never seems to go out of style, the T-shirt is the epitome of casual cool. It looks equally at home on a guy or a girl. It can be worn tight for those of us who want to show off our shape or loose for those of us who’d rather not. It’s relatively cheap and easy to launder. And since there’s nothing nerds like more than showing off their obsessions (with buttons, stickers, lunchboxes, action figures, posters, etc. ), adorning our T-shirts with nerd iconography is a no-brainer. Everyone may have had their sites set of things they knew about like Amazing Spider-Man and Game of Thrones this year at San Diego Comic-Con, but one film that managed to turn tons of heads (that managed to get into the panel) was Francis Ford Coppola’s newest vampire/witchcraft based film, TWIXT. Starring Val Kilmer and Elle Fanning, the film takes the world of Vampires and Witches that modern audiences know all too well and gives it an old spin. Here’s the premise. A writer with a declining career arrives in a small town as part of his book tour and gets caught up in a murder mystery involving a young girl. That night in a dream, he is approached by a mysterious young ghost named V. He’s unsure of her connection to the murder in the town, but is grateful for the story being handed to him. Ultimately he is led to the truth of the story, surprised to find that the ending has more to do with his own life than he could ever have anticipated. If Kiss Kiss, Bang Bang taught us anything, it’s that Val Kilmer as a failed anything is much more entertaining and believable than a successful Val Kilmer.m The only unfortunate part of the trailer is the pacing, and how the visuals tend to linger, which would be impressive if they were shots and visual aesthetics that we haven’t seen countless times before. Judge for yourself and take a look at the trailer after the jump. TWIXT hits theaters later this year. Now that NBC, CBS, ABC and Fox have announced their Fall schedules, we’re getting the other, smaller, networks and all of their info. This time around its The CW and their slate of new and returning shows. CW’s fall schedule includes 3 blocks of shows from top producers, with One Tree Hill being held for midseason. There will be a Josh Schwartz/Stephanie Savage block on Monday, with new medical drama Hart of Dixie airing after Gossip Girl. Kevin Williamson takes over Thursday night with new teen witch drama The Secret Circle following The Vampire Diaries, and McG is the man for Friday with Nikita taking over at 8 PM for Smallville with Supernatural still at 9PM. 90210 is moving from Monday to Tuesday to help launch the new Sarah Michelle Gellar drama Ringer. As sad as we were to see Smallville go its nice to see Gellar return to TV. Let’s hope her new show does her justice. It won’t be Buffy (obviously) but let’s hope its good. The CW Network will unveil the schedule for its 2011-2012 season today at its annual upfront presentation for advertisers, affiliates and national media from Jazz at Lincoln Center. Electro hip-hop group LMFAO will stage a rousing flash mob dance and performed their hit song “Party Rock Anthem” to open the show. The announcement was made by Dawn Ostroff, President of Entertainment, and Mark Pedowitz, the new President of The CW. Supernatural is a popular show, or so I am told. My TV watching principles force me to avoid shows that air on The CW. It is nothing personal, I just have an important man card renewal hearing coming up and I don’t want to take any risks. Aside from my unfair avoidance of the show, Supernatural has done an excellent job of finding its core audience and growing its fan base over six seasons of well crafted TV. The show has also been a hit overseas, especially in Japan, which prompted Warner Home Video and animation studio Madhouse to develop an anime series based on the show. Marking the first time a live-action American TV show has been adapted into a Japanese anime, Supernatural: The Anime Series mirrors the events of the first two seasons of the show. The series, however, isn’t just a retelling of those stories, it is a supplement to the main show. Offering side tales, prequel stories and spin-offs from different episodes during the first two years, this series stays true to the series continuity, while telling new stories from this era. 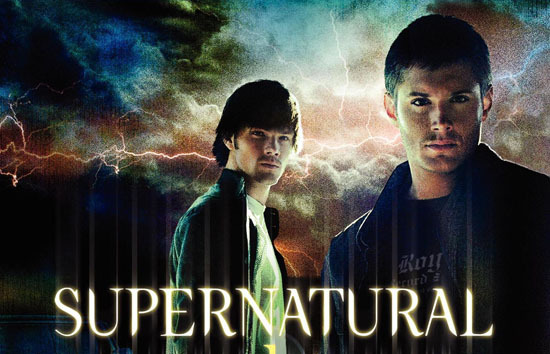 Supernatural: The Anime Series stars Jared Padalecki and Jensen Ackles, reprising their roles as the Winchester brothers from the main series. The full 22 episode series hits the US July 26, 2011. Direct-To-DVD features have developed a certain negative stigma. Usually they have significantly smaller budgets, B to Z level actors and scripts that make Tyler Perry read like Shakespeare. So when Sony Pictures Home Entertainment announces the upcoming release of their new direct-to-DVD superhero movie Cross, we take a very skeptical mentality. It would take at least a solid concept, well rounded cast and a fun trailer to instill the slightest bit of enthusiasm for the project. So you can imagine our surprise when this film offers up all three! Yep. You heard that right: Cross has a straightforward–albeit interesting–core concept that allows a surprisingly strong cast to let lose and have some fun making a pulpy sci-fi action B-movie. This movie isn’t going to be The Dark Knight, or even its big screen cousins Constantine and Push. No, Cross looks like it knows it’s place and revels in the absurdity inherent in being direct-to-DVD. The movie stars Brian Austin Green (The Sara Connor Chronicles), Vinnie Jones (X-Men: The Last Stand), Jake Busey (Starship Troopers), Michael Clark Duncan (Daredevil) and Tom Sizemore (Strang Days), and hits DVD on May 31st. Check out the first full-length trailer after the jump! If you were one of the millions of fans anxiously awaiting the return of Smallville or Supernatural tonight, you’re just going to have to wait a bit longer. The network that carries those shows, The CW, has decided to push back both show’s premieres, which were to take place tonight, by another week. Now, both shows will return next Friday at their regularly scheduled times. Why is this happening? Reportedly, it is to give the network’s winter debuts of The Vampire Diaries and Nikita extra time to build an audience and ratings by showing them again this week in the time slots usually reserved for Smallville and Supernatural. While I can understand the decision from a business perspective, it is still a rather crappy thing to do to fans eagerly awaiting the return of Smallville and Supernatural. I know The CW wants to give its newer shows as much of a chance as possible, but they also need to keep in mind that shows like Smallville, and its fans, are one of the reason the network is still in business. Oh well, I guess we can wait one more week, right?